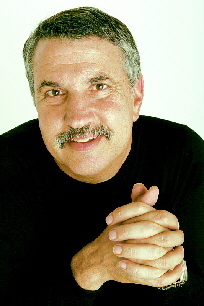 A night with renowned New York Times columnist Thomas Friedman will commence the eighth annual Foreign Affairs Symposium, a student-run series that each year brings to the Homewood campus a celebrated group of high-powered speakers to address matters of global importance. This year's slate of lecturers — who hail from the worlds of politics, academia and the media — will address the topic Ideologies in Flux: Examining Divergent Political Strains in Geopolitics. Friedman will discuss "The Rising East: India and China in the 21st Century," at 8 p.m. on Tuesday, Feb. 28, in Shriver Hall Auditorium. The author of the runaway best-seller The World Is Flat, he will address the emergence of India and China as powerful players on the world stage and how America might compete or cooperate with these powers. The Foreign Affairs Symposium was founded in 1998 with the merging of the Woodrow Wilson International Studies and the International Studies Forum symposia. It seeks to bring distinguished individuals to campus who can talk on matters of global concern to a large and diverse audience. Also on this year's slate is Chris Matthews, host of MSNBC's Hardball, who will discuss "War and the Media." His talk, which has been rescheduled from a previously announced time, will be at 8 p.m. on Monday, April 3, in Shriver Hall. At 8 p.m. on April 11, in Levering's Glass Pavilion, Francis Fukuyama, the Bernard L. Schwartz Professor in International Political Economy and director of the International Development Program at SAIS, will address "America at the Crossroads: Finding America's Role in a Changing World." Fukuyama is the author of Nation-Building: Beyond Afghanistan and Iraq, recently published by the Johns Hopkins University Press, and America at the Crossroads: Democracy, Power and the Neoconservative Legacy, due out in March from the Yale University Press. Dennis Ross, Middle East special envoy under Presidents George H.W. Bush and Bill Clinton, will discuss "A Struggle for Peace: The Future of Israel and the Palestinian People" at 8 p.m. on April 26 in Levering's Glass Pavilion. Ross is now counselor and Ziegler distinguished fellow of the Washington Institute for Near East Policy, and he serves as the first chairman of a Jerusalem-based think tank, the Institute for Jewish People Policy Planning, funded and founded by the Jewish Agency. He is also a foreign affairs analyst for the Fox News Channel. The 2006 Foreign Affairs Symposium is being run by three student co-chairs — Adnan Ahmad, Carey Polis and Marc Goldwein — and a staff of 12 other Homewood undergraduates. The group began meeting over the summer to schedule the speakers and raise the necessary funds, which come from a variety of sources, including academic departments, dean's offices and local businesses. The chairs decided to take a slightly different direction this year, opting for a mixture of speakers and panel discussions. Last year's symposium, whose theme was Enduring Responsibility: America and the Politics of Conflict Resolution, featured panel discussions solely. The organizers said they hit the jackpot with this year's lineup. "We have some very high-profile, highly intellectual people who are academics in nature," said Goldwein, a junior political science major. "These aren't just talking heads." Goldwein said the goal of all the talks and panels is to stimulate a dialogue and shed some light on international affairs for the audience, which is typically a mix of Homewood students, faculty, staff and community members. "We want people, in a sense, to leave with more questions than answers," Goldwein said. "To just get them thinking and talking about the issues these speakers will discuss." Polis, a junior Writing Seminars major, agrees. "And for someone like Thomas Friedman, just to have people come out to an event like this who normally wouldn't will be fantastic." The first panel discussion will be "AIDS Crisis in the Sub-Sahara," scheduled for 8 p.m. on March 15 in 110 Hodson Hall. Participating will be Thomas Quinn, senior investigator of infectious diseases at the NIH; Robyn Munford, director of Student Partnerships Worldwide; and Janean Martin, public health adviser for the Office of HIV and AIDS at USAID. "Prospects for Democracy in the Middle East" will feature Eleana Gordon, vice president of the Foundation for the Defense of Democracies; Barry Rubin, author of The Long War for Freedom: An Arab Struggle for Democracy in the Middle East; Salameh Nematt, Washington bureau chief of Al-Hayat News; Christopher Preble, author of Exiting Iraq: Why the U.S. Must End the Military Occupation and Renew the War Against Al Qaeda and foreign policy director at the Cato Institute. The March 29 event begins at 8 p.m. in 110 Hodson Hall. "Remaking Europe: Turkey's Role in the EU" will be discussed by Erik Jones, professor of European studies at the SAIS Bologna Center; Sabri Sayari, professor of international studies, Sabanci University in Turkey; and Sylvie Goulard, professor of European studies, Sciences Po, in Paris, at 8 p.m. on April 18 in Levering's Glass Pavilion. For more information, go to www.jhu.edu/fas, call 610-574-8004 or e-mail fas@jhu.edu.